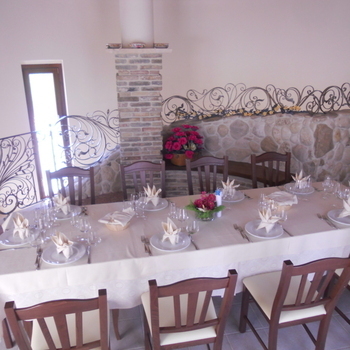 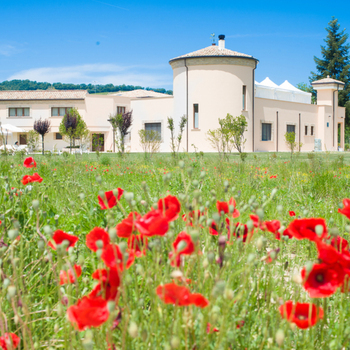 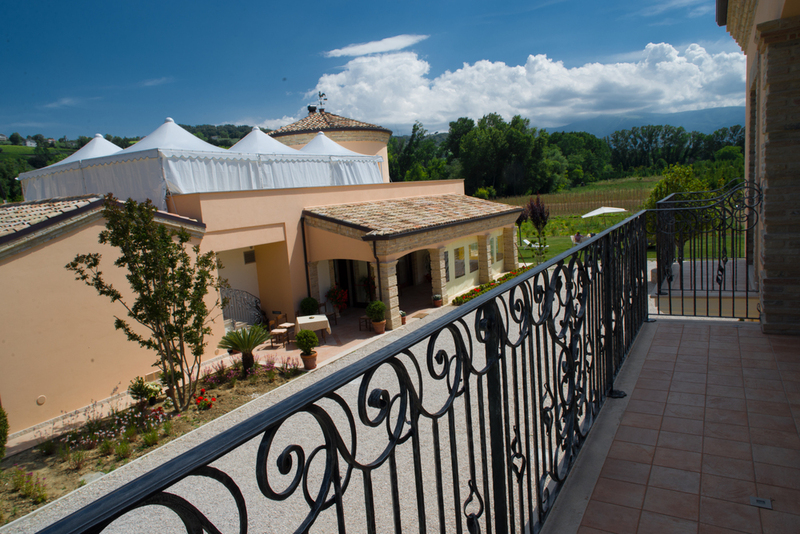 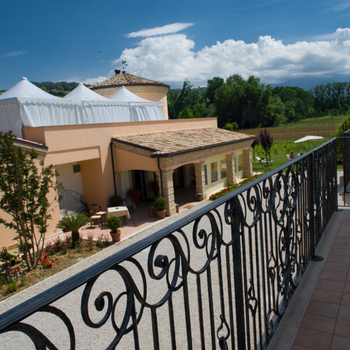 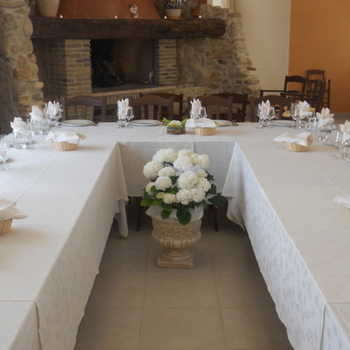 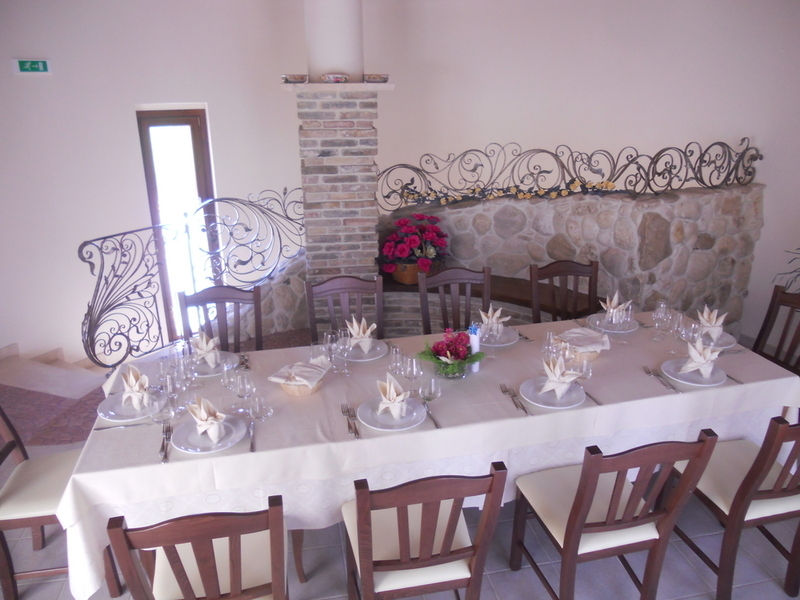 A beautiful, privately run country hotel nestled in the valley surrounded by vineyards and olive groves. 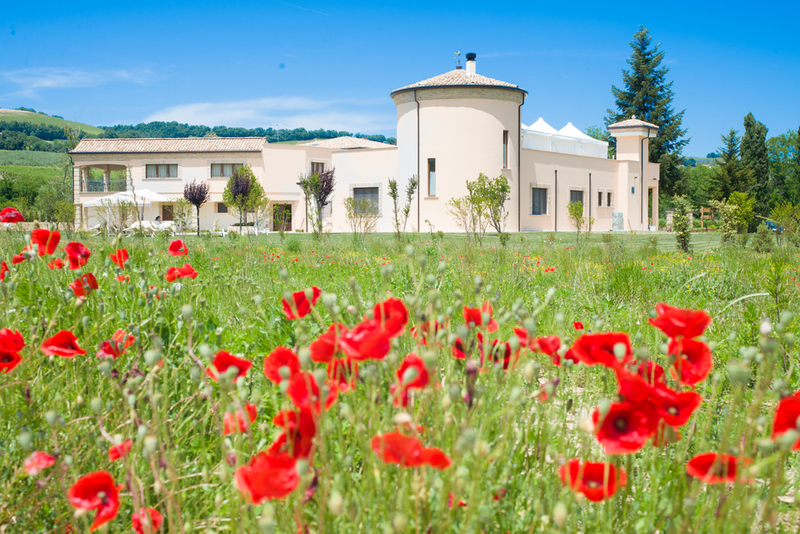 Built on the site of an ancient mill once owned by the Prince of Naples, it's a short drive from lovely beaches, with a backdrop of towering mountains where skiing takes place in winter. 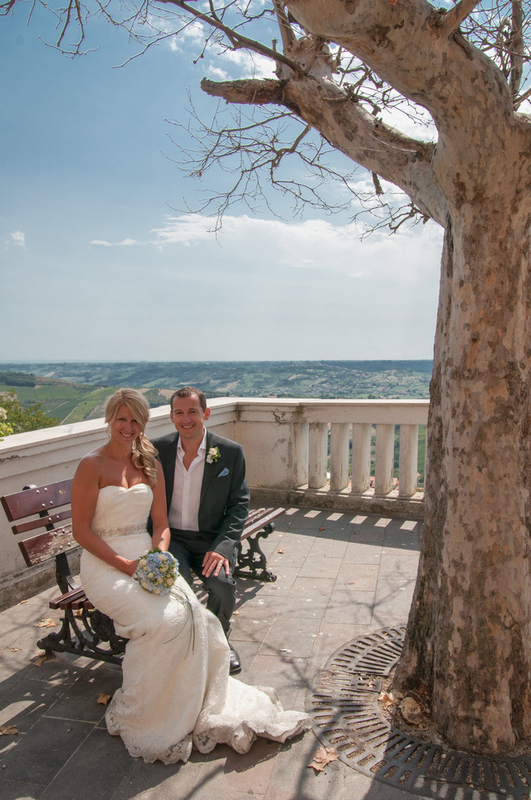 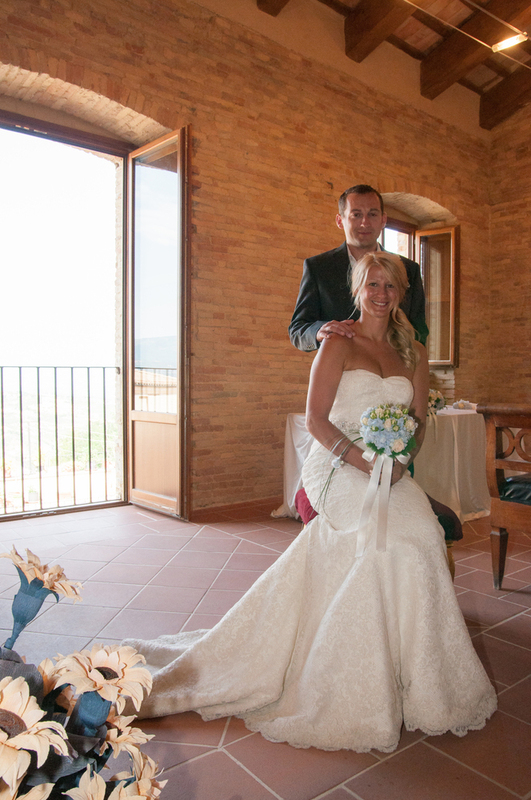 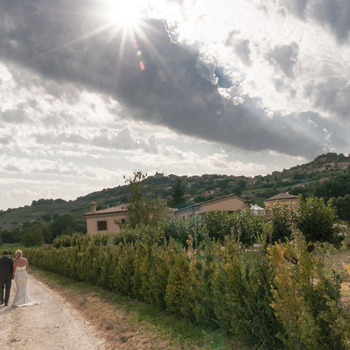 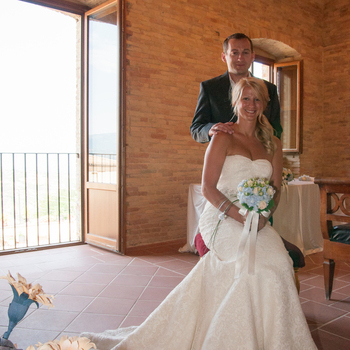 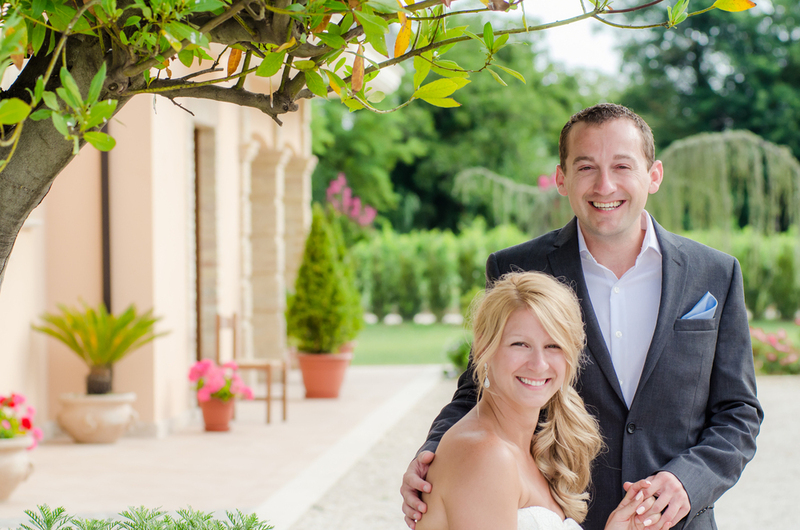 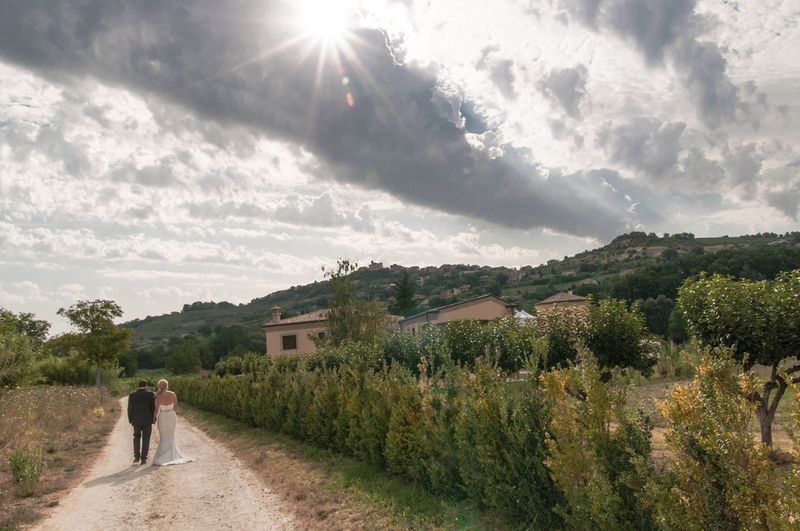 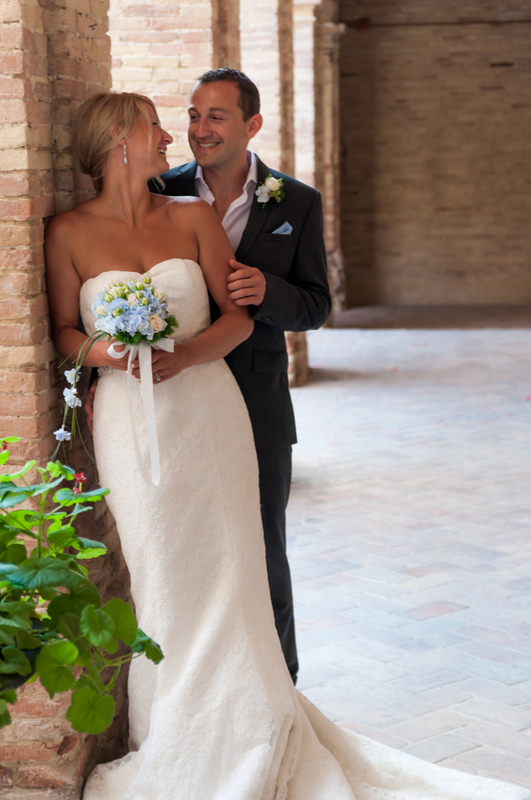 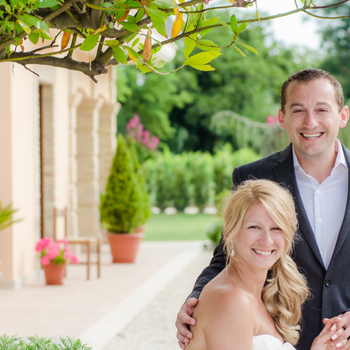 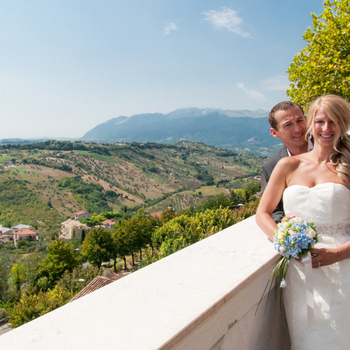 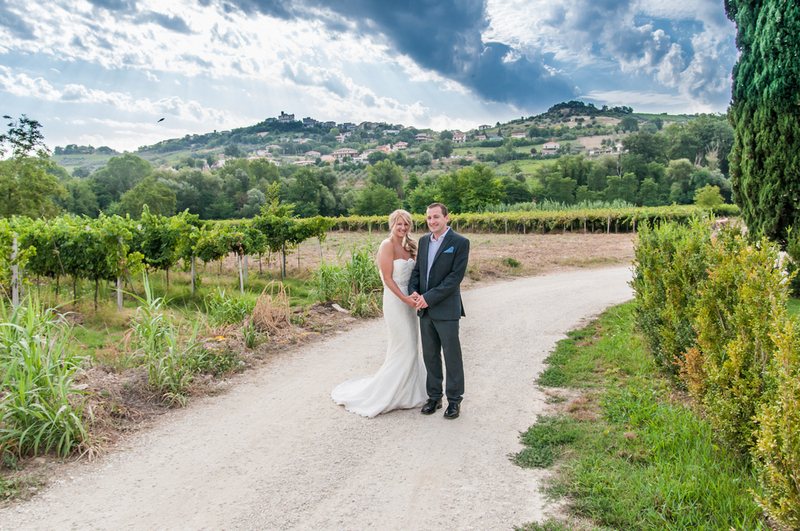 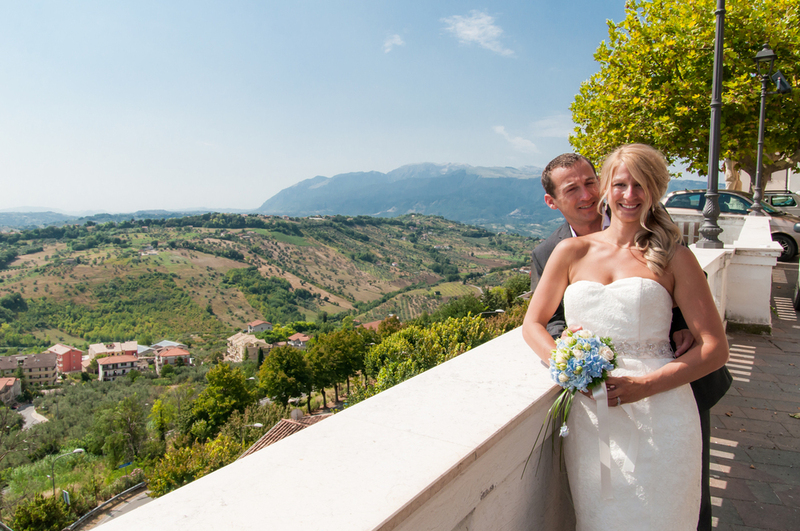 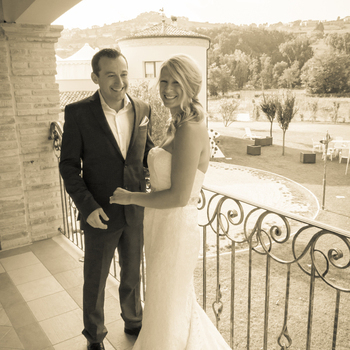 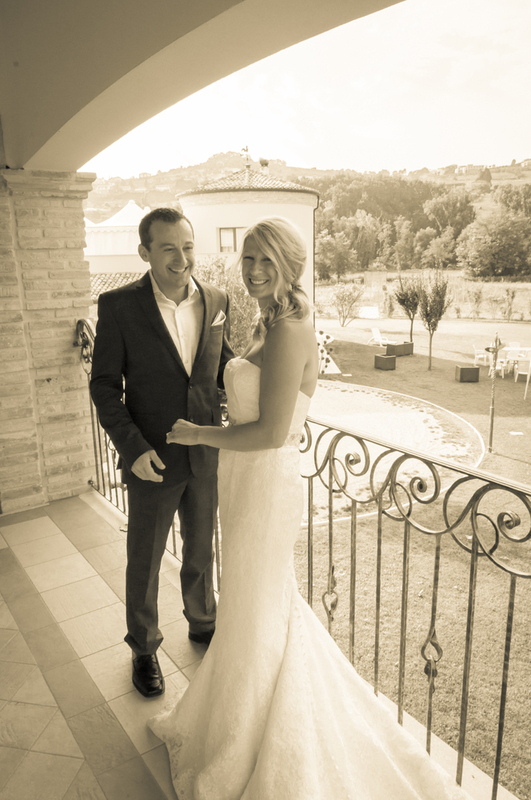 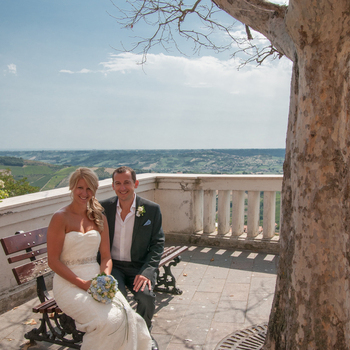 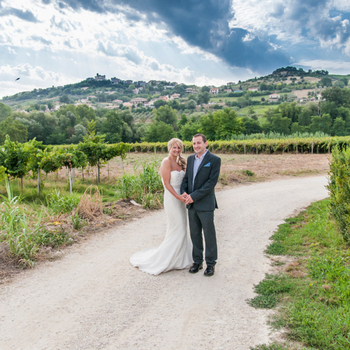 It's ideal if you're looking for a romantic elopement with just the two of you, or a larger wedding in the Italian countryside with friends and family. 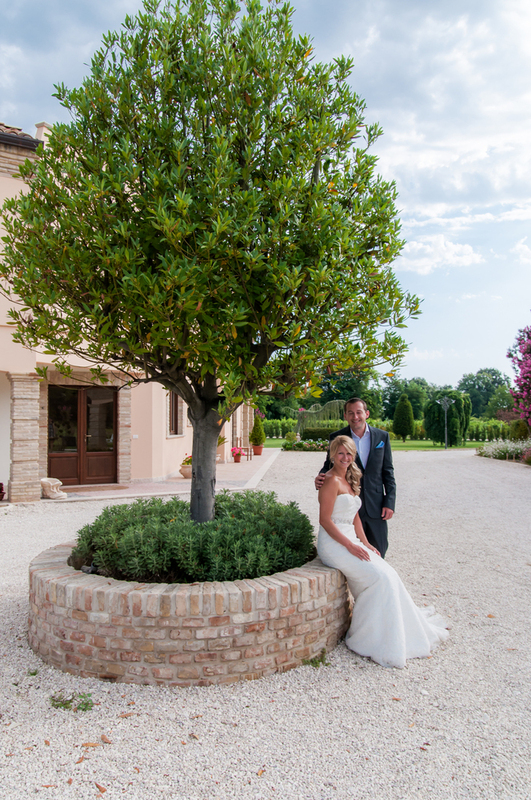 Here you can hold your entire wedding including a private ceremony in the grounds followed by a reception with dining in the gardens, on the roof terrace, or inside in traditional style. 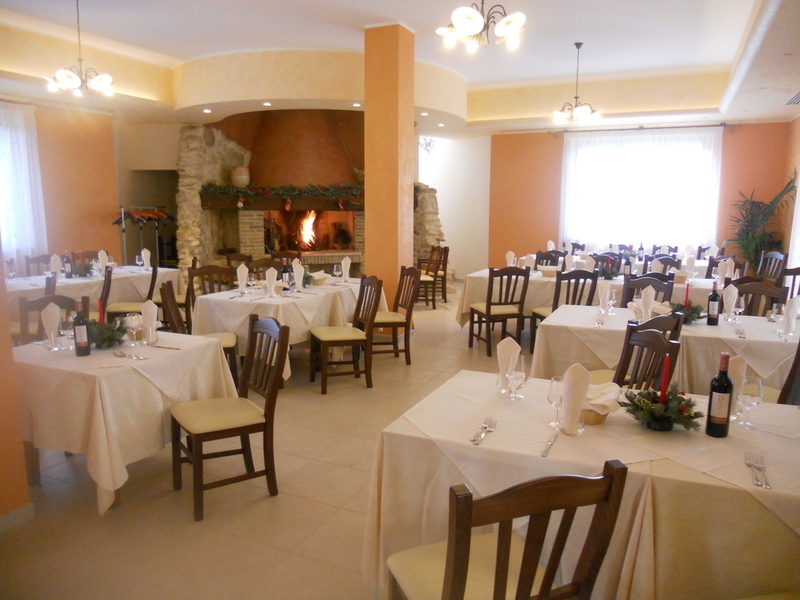 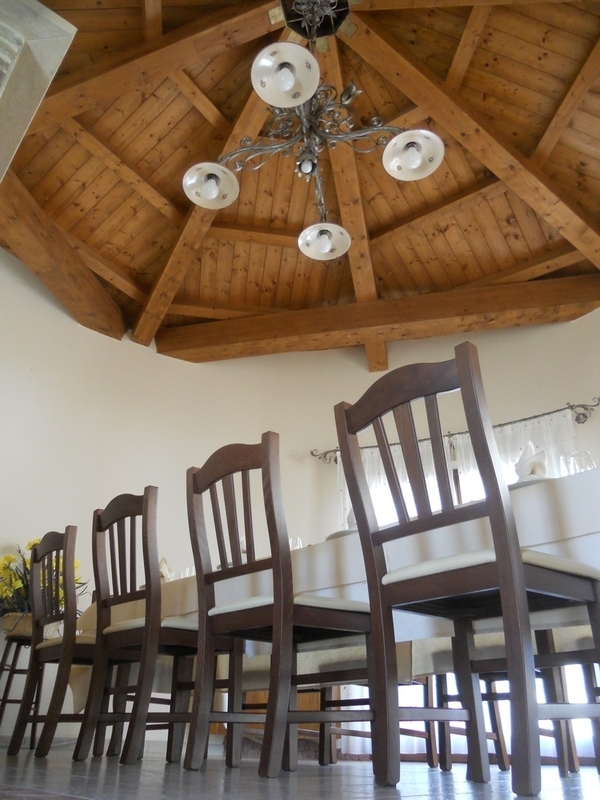 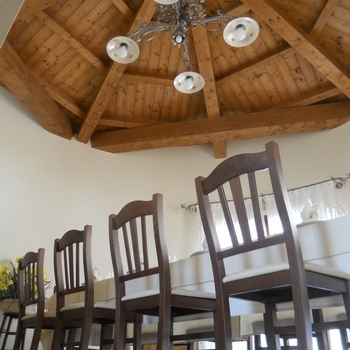 The dining room is air conditioned in summer and has a grand open fireplace that is used in cooler months. 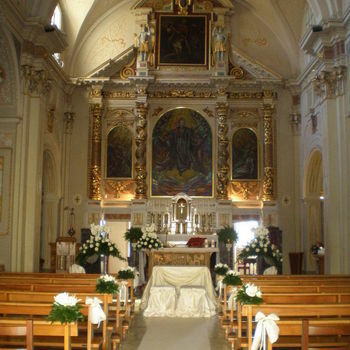 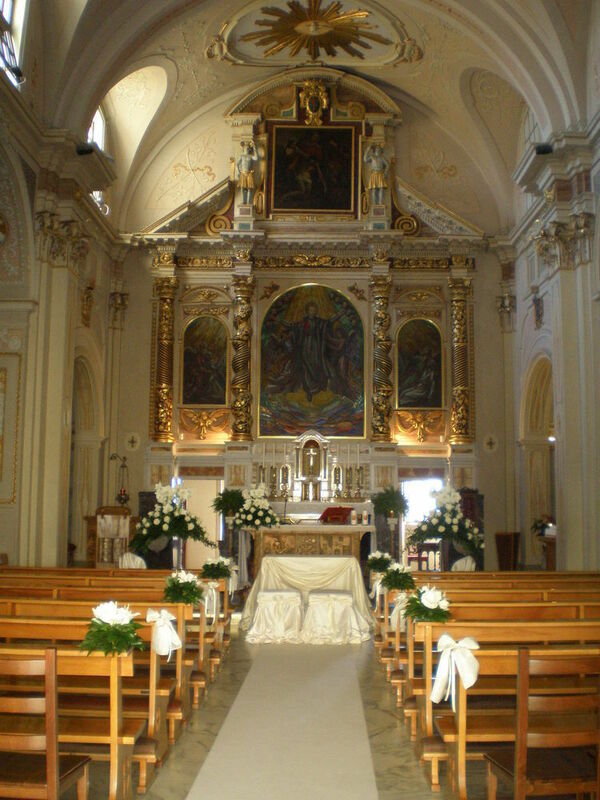 For an impressive Catholic ceremony you can choose the beautiful church of San Camillo which sits prettily in the square of the nearby hilltop town. 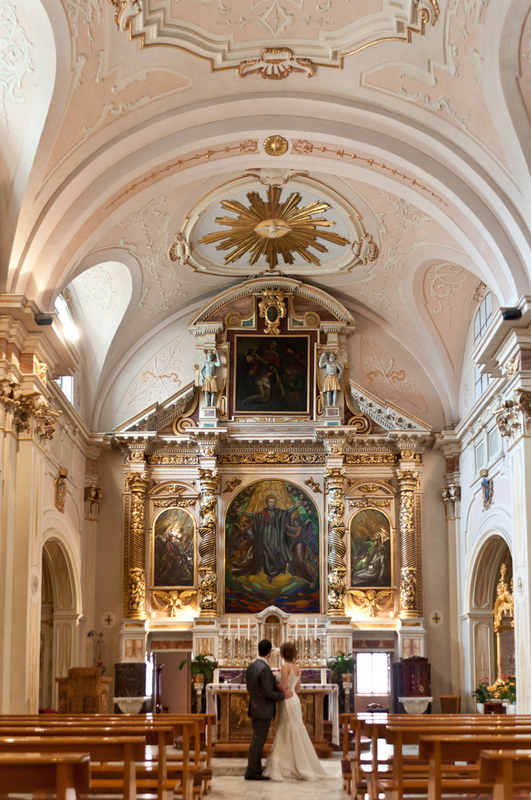 This charming little medieval town is the birthplace of San Camillo - one of the most influential saints in Italy and worldwide and has close ties with Rome. 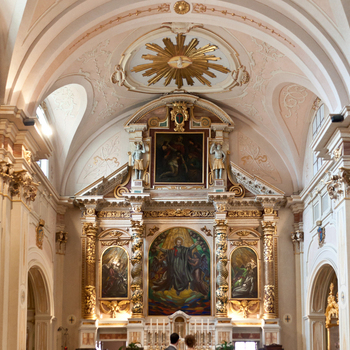 It holds great significance in the Catholic church as a place of pilgrimage for Catholics from all over the world. 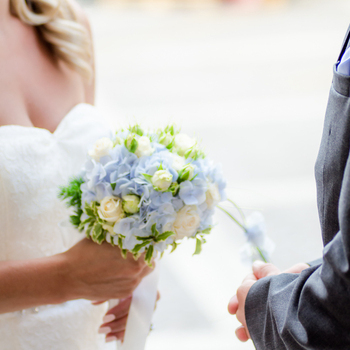 Here you'll get a really warm welcome and without doubt the locals will gather outside to welcome and applaud you in celebration of your marriage. 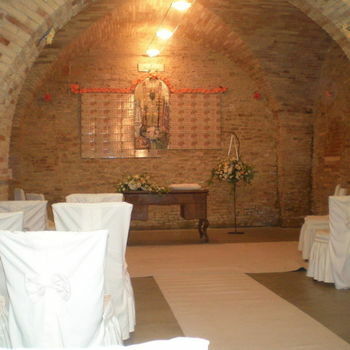 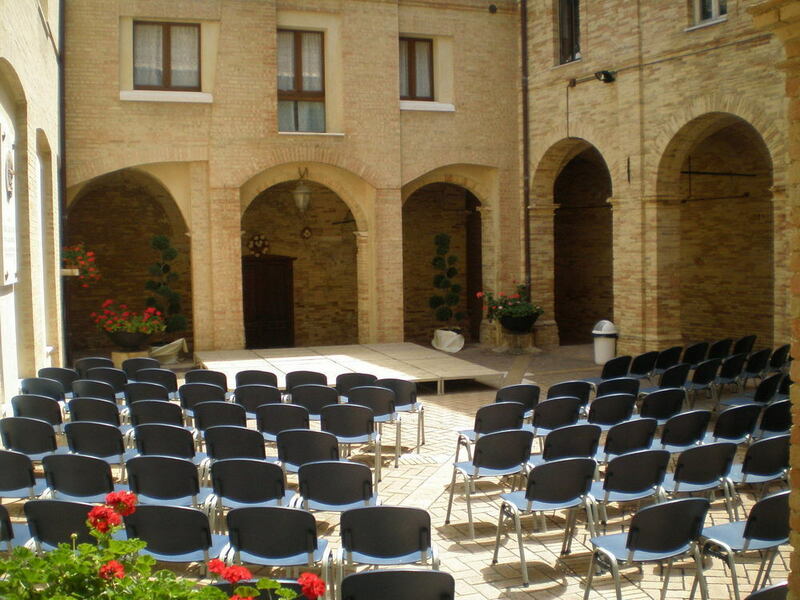 Alternatively in this charming hilltop town, you can choose a civil ceremony to remember in the open air cloisters of the beautiful town hall, once a monastery. 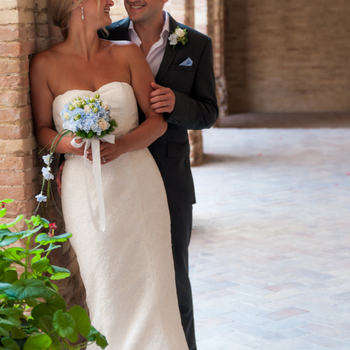 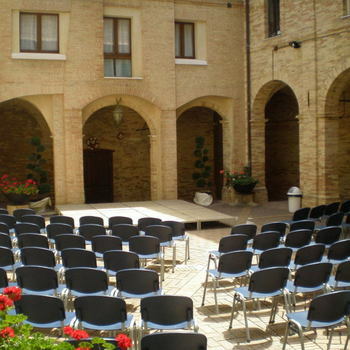 The stone colonnades surround a paved, open air courtyard with a beautiful bell tower above. 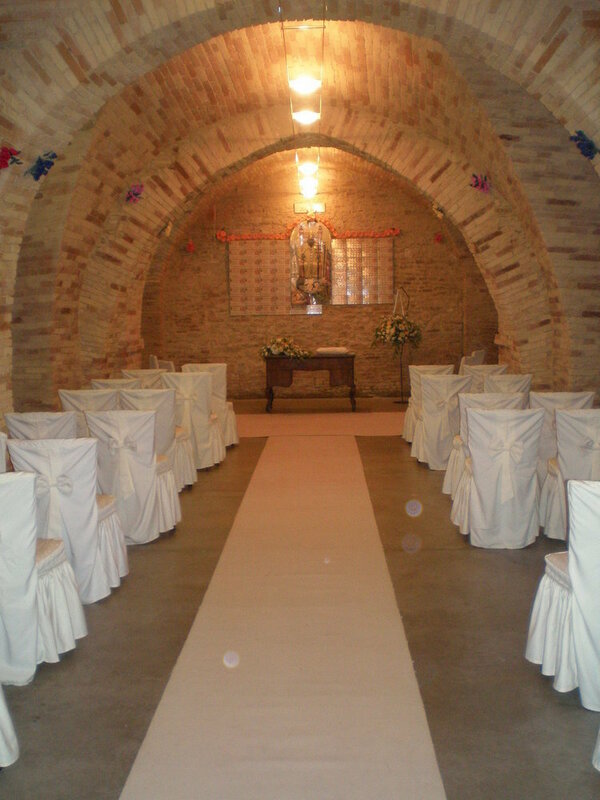 Your guests will watch as you enter through the grand doorway to take your place for a legal civil service carried out by the town mayor. 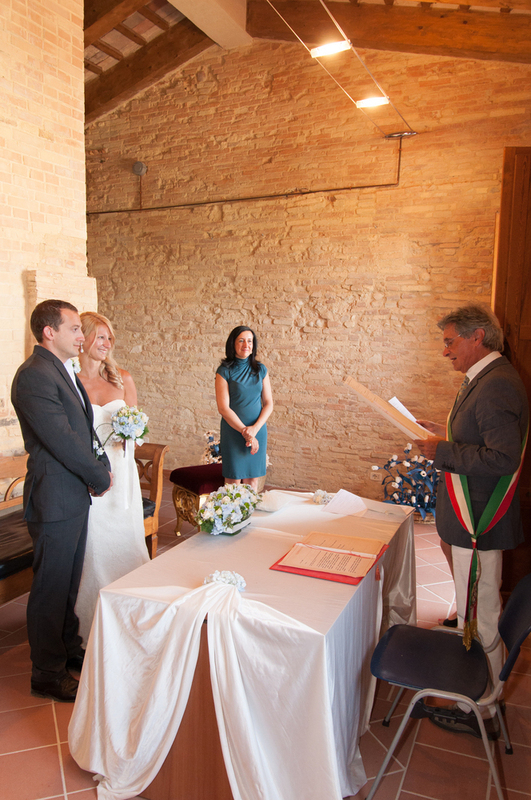 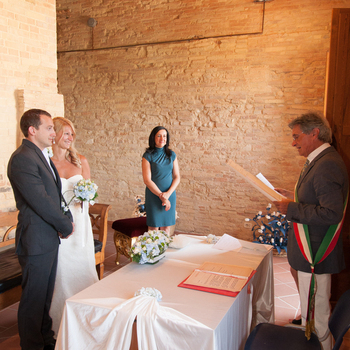 If you prefer an indoor ceremony, we have special permission to use the mayoral rooms, overlooking the courtyard and the town's pretty square. 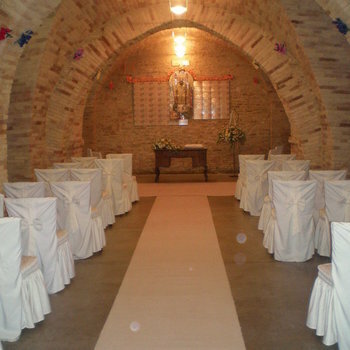 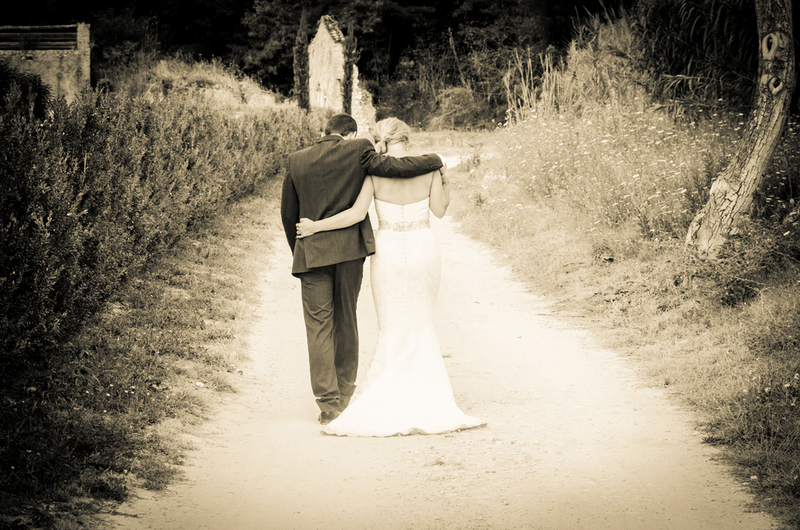 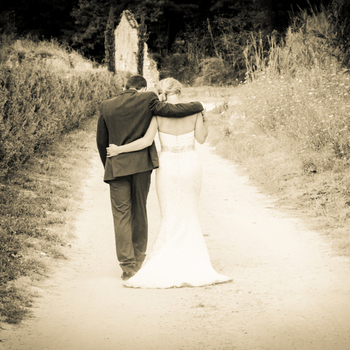 You'll have exclusive use of this historic venue which offers a choice of locations for your civil ceremony to suit your number of guests and the time of year. 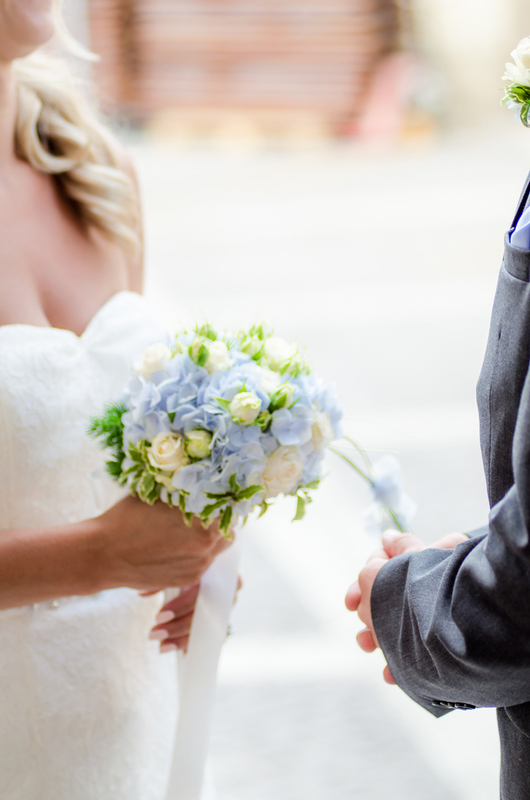 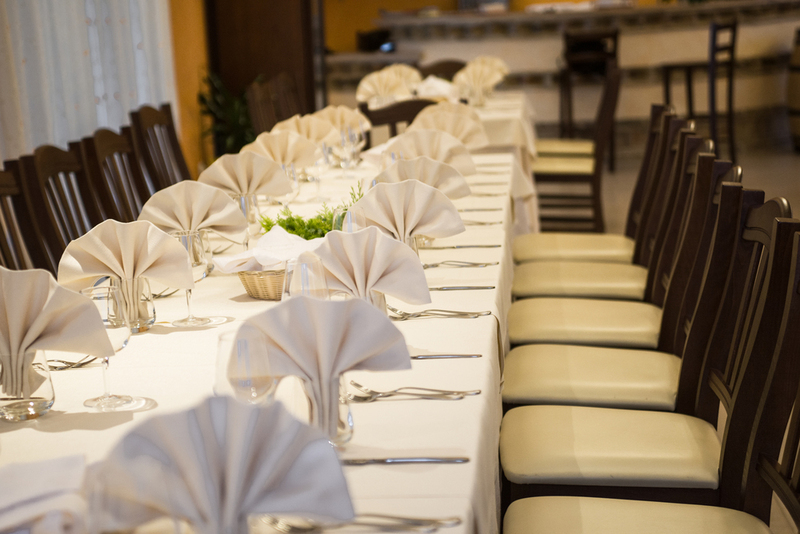 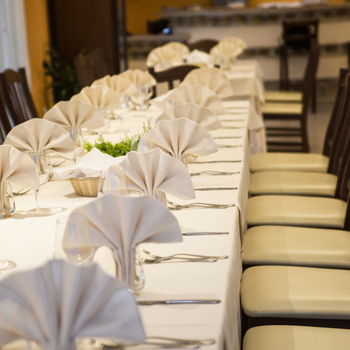 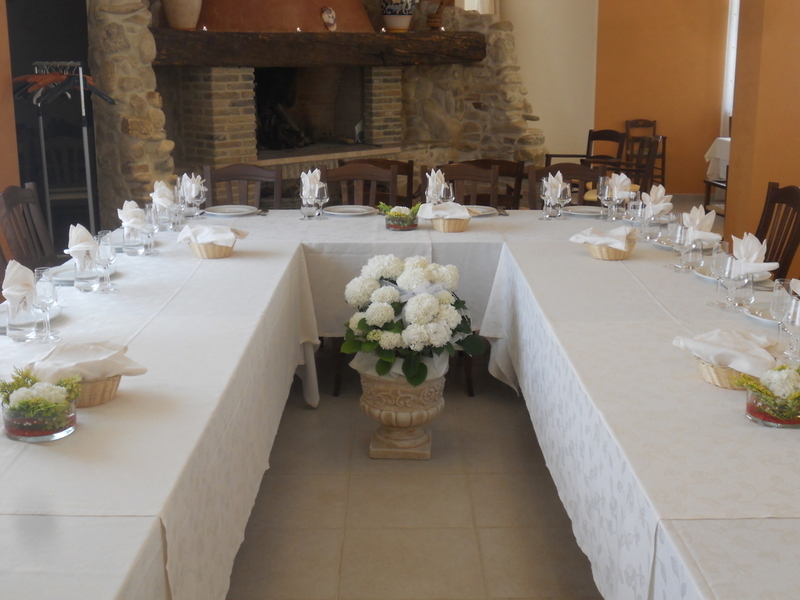 After your wedding ceremony you can choose from one of the excellent restaurants just off the town square within walking distance of the church and town hall. 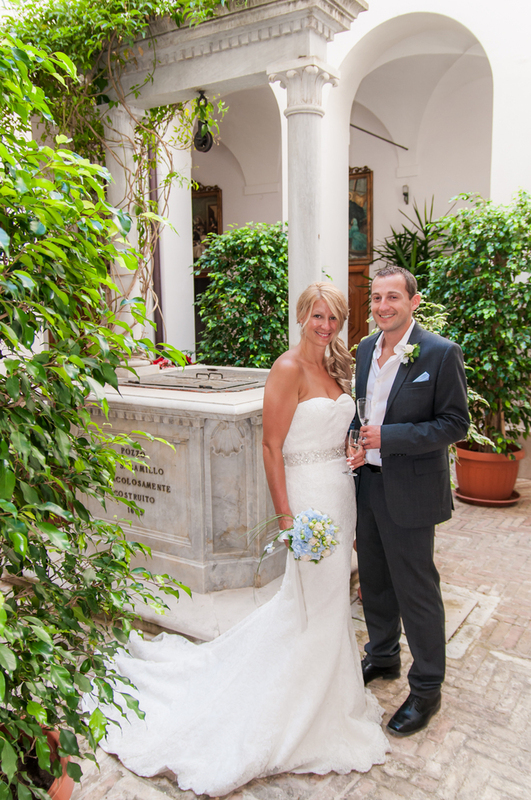 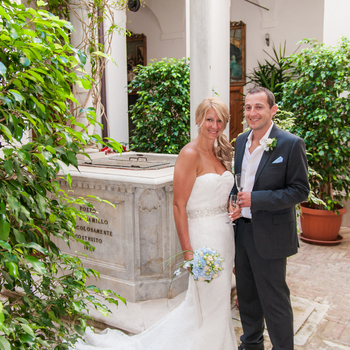 You'll enjoy a plentiful wedding banquet of local specialities in atmospheric, historic surroundings. 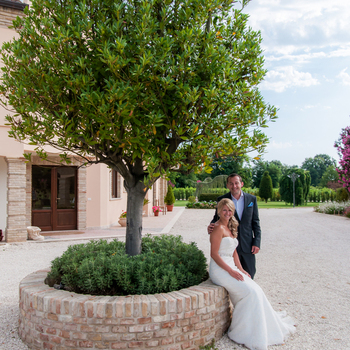 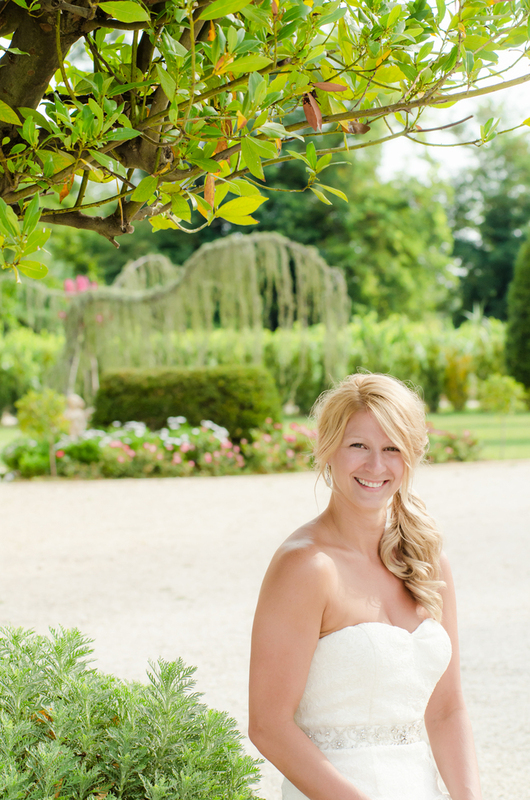 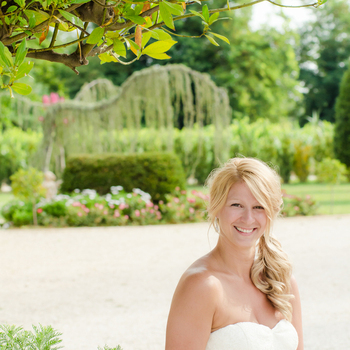 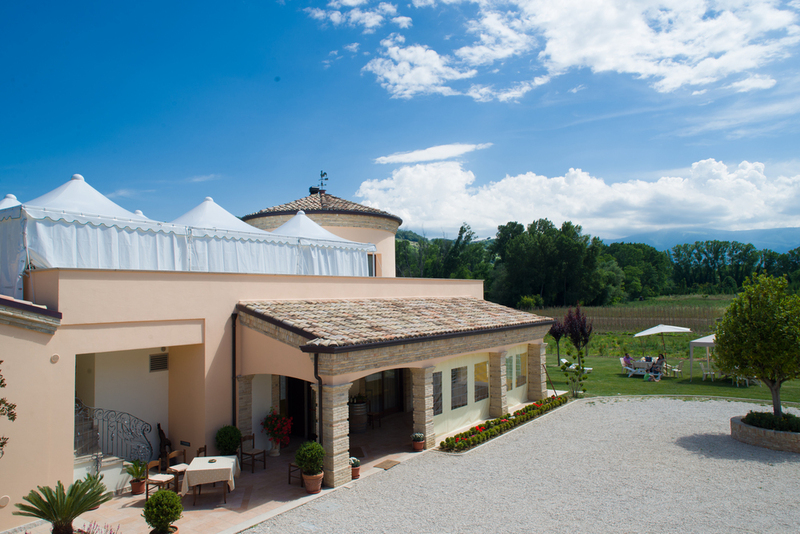 Or, you can return to the country hotel for your wedding reception in the gardens, surrounded by vineyards and olive groves. 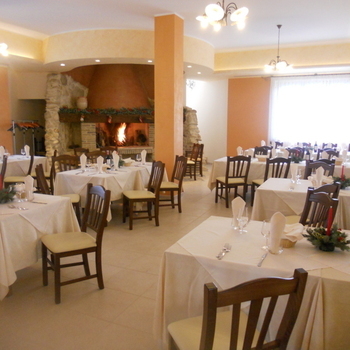 The Hotel offers quality accommodation and serves wonderful dishes prepared by hand from locally sourced ingredients. 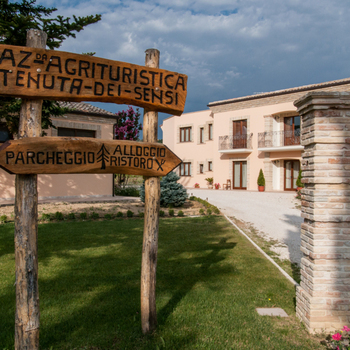 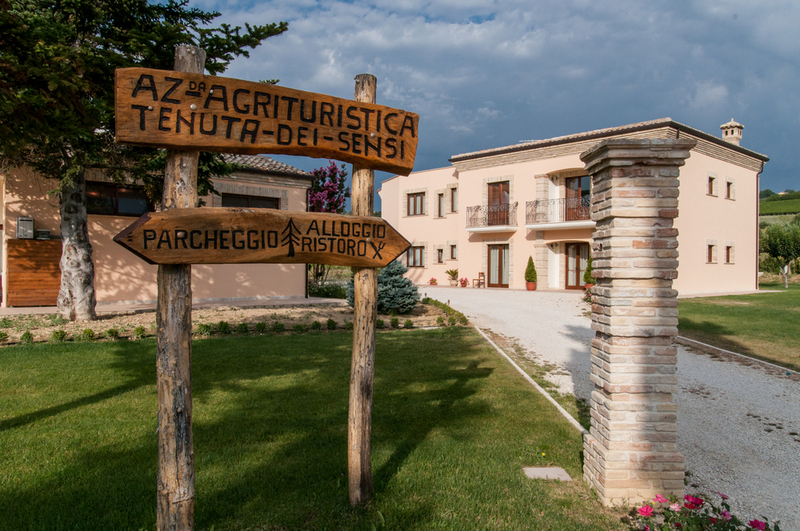 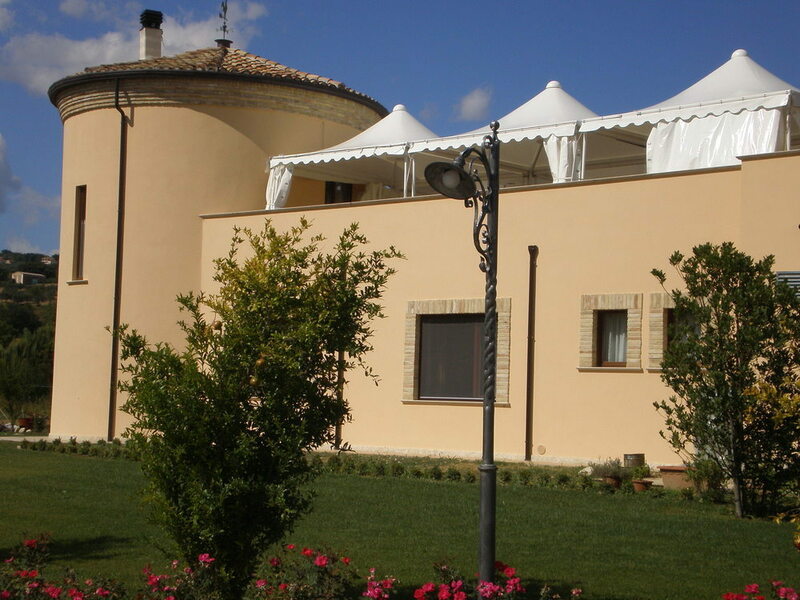 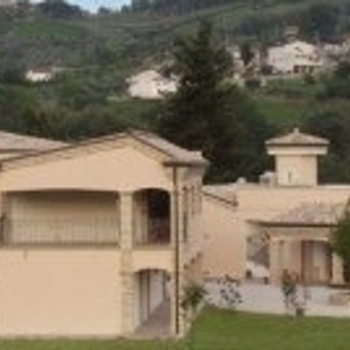 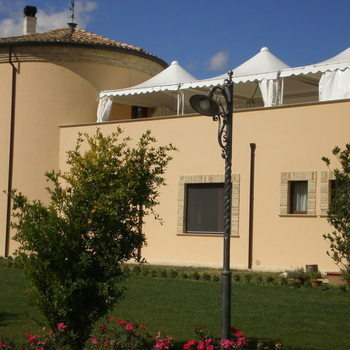 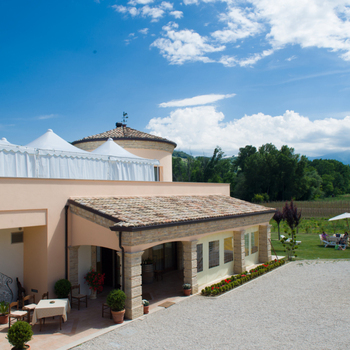 It's a traditional Italian family run hotel so you benefit from rural Italian prices rather than international hotel prices - and the food and wine are fantastic! 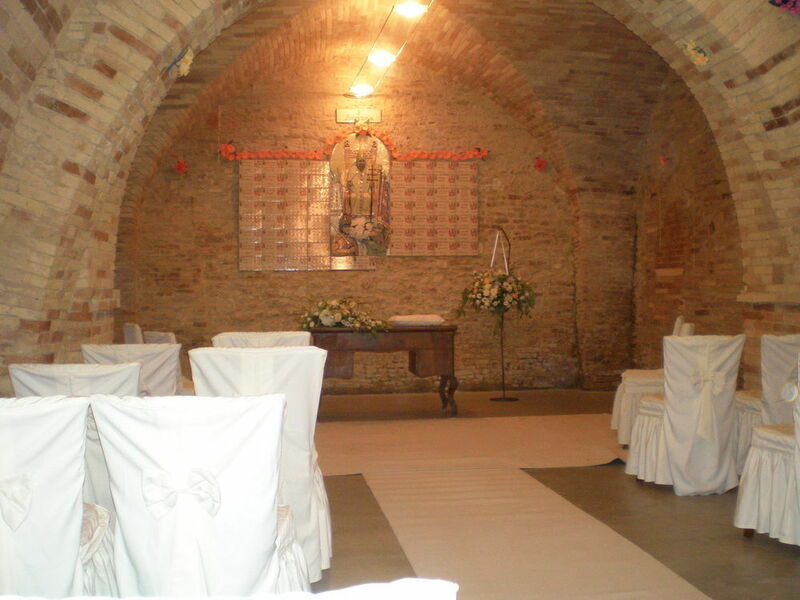 There's a variety of options for your ceremony and reception at this location and we are happy to provide quotations on request to create a stunning wedding day that meets your wishes and suits your budget perfectly.